By examining the historical development of Christian beliefs through contemporary times, you'll build an understanding of Christianity's place at the crossroads of religion, politics and culture. Our program focuses on big questions raised by Christianity. This theoretical emphasis can often be neglected in seminary education, where the focus generally falls on practical ministry skills. 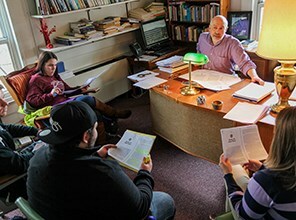 Studies in Greek, Hebrew, Latin, German and French on campus help you to get to the root of original Christian writings, as well as to interpret firsthand major Christian theologians. 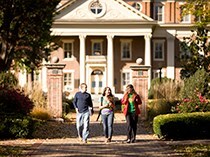 Students who have graduated from Roanoke's Religion, Christian Studies and Philosophy programs have gone on to graduate study at institutions, such as Loyola University, Princeton Seminary, Luther Seminary and the University of Tennessee. Understanding the way Christianity interacts with the contemporary world can be crucial not only for the ministry, but also for careers as diverse as public policy, foreign service, counseling, media and the law. 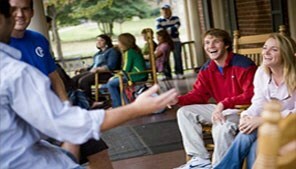 We offer both a major and a minor in Christian Studies. The College honors its Christian heritage and its partnership with the Evangelical Lutheran Church in America by nurturing dialogue between faith and reason. Sixteen Maroons, led by Dr. Paul Hinlicky, traveled in Central Europe where they studied intensively and experientially in the places where the political religions of the 20th Century (Fascism, Nazism and Communism) predominated. At the climax of the trip, the sojourn to mournful Auschwitz was made to see the "death factory," where more than a million Jews, along with various others, perished. Here are some recent books that have been published by Religious Studies faculty. 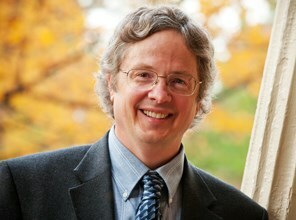 Dr. Ned Wisnefske has created a picture-story book that dives into the ethics of young adults. "The Ought" is written for young adults who wonder where morals originate and why they vary between individuals. Roanoke alumna Renae Dower illustrated the book. In this scholarly work Paul Hinlicky transcends the impasse between dogmatic and systematic theology as he presents an original, comprehensive system of theology especially apropos to the post-Christendom North American context. The Rev. Dr. Paul Hinlicky, Tise Professor in Lutheran Studies, releases in June "Divine Simplicity: Christ the Crisis of Metaphysics." 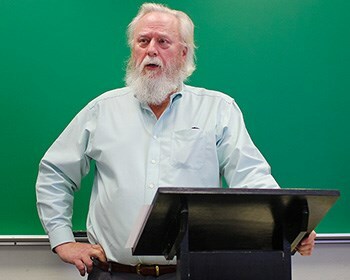 Dr. James Peterson was invited to be a member of the International Society for Science & Religion. This society was founded in 2002, and its main purpose is to promote education through facilitating communication between the ideas of science and religion. The society's annual meeting is held every year at its headquarters at Cambridge University and its other gatherings are held around the globe.